The Nitecore UMS2 Dual Slots Superb Battery Charger, with QC input enabling a total max output up to 4000mA. single slot max output can reach to 3000mA, allow the batteries can be fully charged in short time than other chargers. the UMS2 with a specially optimized system for IMR batteries, which is able to monitor the entire charging process, ensuring that the cut-off voltage is always within safe limits to extend the lifespan of the batteries. 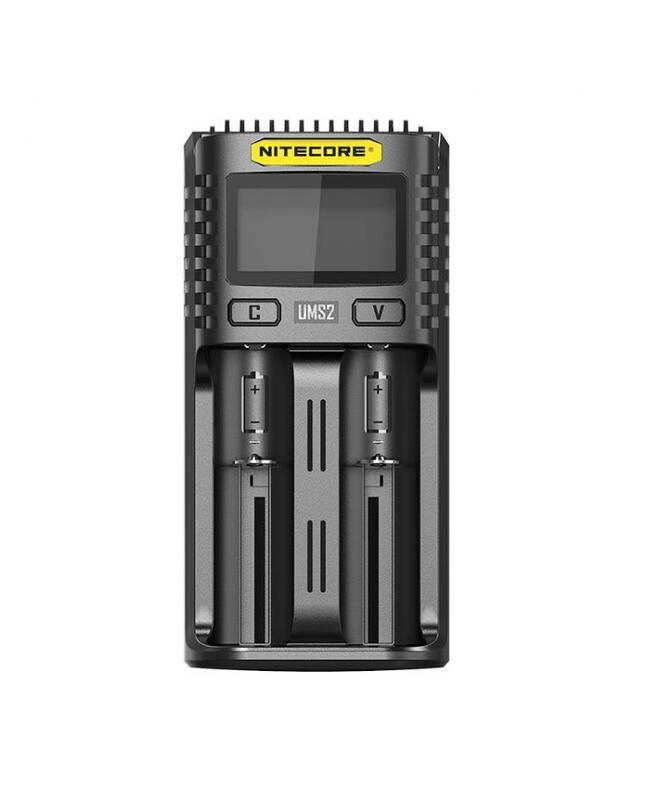 the new nitecore charger with large LCD display for real-time charging information, it will detect the internal resistance and battery health automatically and will select the best working modes from CC, CV, and -DV/DT. the user can press the " V" button to cycle through different charging information. long press the " C " button to enter the charging setting mode to select the different charging voltage and charging current. the vaping charger made of durable and fire retardant materials, multiple functions to ensure the charging safe and reliable.